On this episode of The GAP Luke Lawrie and Nathan ‘NachosJustice’ Lawrence discuss the latest film in the Pirates of the Caribbean series, can you believe there have been 5 of these? 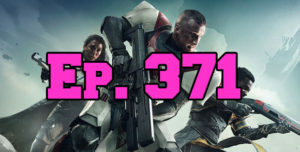 They also talk about the games they’ve been playing which includes Destiny 2, The Surge, PlayerUnknown’s Battlegrounds, Prey, Geneshift, Quake Champions, and more. Over in the news Red Dead Redemption 2 is pushed back to next year, Tom Holland is the latest to be cast as Nathan Drake in the Uncharted film, and Ubisoft drop a teaser trailer for Far Cry 5. This episode goes for 2 hours, it also contains coarse language.